Patriot Academy Special Episode – Raising Leaders of Integrity, Character, & Skill: Join us for a special interview with the 2018 Governor of the National Patriot Academy, Austin Griesinger. 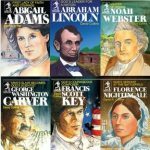 Learn about Patriot Academy, the current generation of young people, and how to instill in them the principles of leadership as well as the importance of preserving our freedoms for future generations! Welcome to the intersection of faith and the culture. This is WallBuilders Live! Where we’re talking about today’s hottest topics on policy, faith, and the culture. Always from a all of it from a biblical, historical, and Constitutional perspective. You can find out more about us at WallBuildersLive.com, that’s our main radio website. That’s where you can get a list of all of our stations across the country. Also, you can get archives of past programs over the past few weeks. And then you can go to WallBuilders.com, that’s our main website and that’s where you’ll find all kinds of tools and resources for you and your family to help get people educated, and inspired, and equipped, to help restore our Constitutional Republic. Today’s topic is very specifically about that. We’re going to be diving into how to restore the republic by raising up a new generation of patriots that are equipped and inspired to lead and given the skills they need to do so effectively. My name is Rick Green, I’m a former Texas state legislator. And here with me in studio is the governor of Patriot Academy 2018, Austin Griesinger. Austin, thanks for joining us today. Well, thank you so much for having me on, sir. Hey, man, you’re serving as governor, so what does that mean? Is this like it’s own state or is Patriot Academy hidden off on some island somewhere and we’ve recreated our own new world? Well, we can all wish ,can’t we. No, no, Patriot Academy, as governor I get to serve in the student leadership. The position has evolved over the last couple of years and it’s closer to an unpaid internship at this point. I get to help the academy run smoothly there in the state capitol in Austin and just help in general with all the goings on a Patriot Academy during the year. Alright, so you’re governor of Patriot Academy. You also work at the state capitol for real, right? You do Patriot Academy as a way of helping to raise up others from your generation. But at your real job what do you do? Absolutely. I actually work for state representative Valerie Swanson. She’s a member of the Texas House Freedom Caucus, one of the 12 most conservative members here in the Texas House. I’ve been working as her legislative director for the last year and a half now and will be working for her again next January through the end of May next year as her legislative director again. 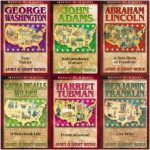 How did Patriot Act– what role did Patriot Academy play in getting you interested in politics and then of course now working in the real political world, if you will, there in the belly of the beast at the state capitol? Well, I had no interest in politics whatsoever. When I was 15 years old and when I turned 16 because my older brother had gone to Patriot Academy multiple times convinced me to go hang out for the week. And that started the cascading momentum of me getting into politics and now I eat, sleep, and breathe, the thing. But ultimately, Patriot Academy led me to meeting representative Swanson when she came to kind of watch what was going on and get a better handle of what the legislative process looks. I got to meet her through that and ultimately that turned into me working at the state capitol. So, it created the interest in politics and gave me the avenue to get involved. What if My Kid Isn’t Even Interested in Politics? I tell them Patriot Academy is not strictly about politics – it’s about leadership first. And that leadership is taught with Patriot Academy through the vehicle of politics because it is that important. And if you teach leadership in that atmosphere with politics as the vehicle then you’re training up leaders in every area of culture that understand that the political process matters no matter what you’re doing. It affects you in every single part of your life. –they are going to be able to take these skills that they learn at Patriot Academy into those arenas. Absolutely. And I’m not stalking every single alumni of Patriot Academy, but I can say with reasonable certainty that the vast majority of Patriot Academy students don’t go into politics full time. A lot of them will volunteer, and get involved, and understand the process. But most of them go into private business, they go into, like you said, creating movies, they go into writing books, every area of the culture. Most of our students aren’t full time politicians when they leave. We want to raise those, but we also want to raise those people in the private sector and the other part of life – not just in the political realm. –tell you how nice it is. You’re living it. You’re on the real house floor, at the real microphone, you’re in the real committee rooms, you’re passing legislation, you’re killing legislation, you’re living the life of a legislator. That– the first time you came you were what – 18, 19? Absolutely. And there are other programs similar to Patriot Academy. There are none that go to the lengths that we go to. Just like you were saying – we sit on the House floor, we use the actual mics, you can sit there and see the gallery up above you. And people who are just visiting the Capitol while they’re on vacation in Texas here in Austin will sit in and just watch us. They have no idea what’s going on, but they’re going to listen to a bunch of kids talk about taxes and things like that. Some in the entertainment sector. So, we get both and that’s very unique to Patriot Academy. That mixes the two things to promote a whole person, a whole leader, coming out of the Academy – not just somebody who’s got training in one small area. That’s the governor Patrick Academy you’re hearing right there. That’s Austin Griesinger. We’re going to take a quick break. As we’re going to break, folks, you may, as you hear some of this maybe you’re thinking, “Look, that’s exactly what my young person needs.” Or a lot of young people out there listening to this – if you’re in the age range of 16 to 25 then this is a great opportunity for you to really figure out what you really believe, what are you willing to fight for and stand for, and how do you get better equipped at defending the things that you believe in? Maybe you just want to be around some other young people that are passionate about the country, and passionate about the Lord, and want to see biblical principles restored in our country, and certainly see our Constitutional Republic restored. If any of that sounds appealing to you go to PatriotAcademy.com. We are down to the wire, literally. You’re down to just a couple of weeks. Actually, you’ve got three and a half weeks before Patriot Academy happens in Texas this year July 29th through August 4th. You can still register. And, in fact, if you will put on your application online that you heard about this on WallBuilders Live we will let you still get the discounted rate of $995 for the full week – that’s hotel, that’s materials, that’s everything at Patriot Academy instead of the twelve hundred bucks for the late registration fee. So, you save 200 bucks if you tell them you heard about it here on WallBuilders live. Get on that website PatriotAcademy.com. We’ve got a few slots left. You need to get signed up right now and get your travel arrangements and come spend a week with Governor Austin Griesinger, myself, the Barton’s, a whole lot of other people coming in to share and instill good principles and sow into your life. 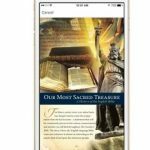 Check it out at PatriotAcademy.com. We’ll be right back. You’re listening to WallBuilders Live. Hey, friends! We’ve got a great program to share with you today. It’s the WallBuilders Leadership Training Program and it’s an opportunity for 18 to 25 year olds to come spend two weeks diving into the original documents we’re always talking about here on WallBuilders Live. Tim, you’ve already been doing this a couple of summers and seen the results of young people coming to this program. We’re going to see more of them coming this year. Yeah, Rick, it’s something that’s been cool to see the transformation with young people coming in. The emphasis, for us, largely is a pursuit of truth. We have a culture that doesn’t know what truth is. 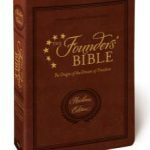 We don’t know what biblical truth is, or constitutional truth, or the American heritage that we have. And so we really dive into original documents and say, “Well, what did they actually write? What did they actually do? Not just what did somebody say, what is actually true, and the truth is what’s transformational. Yeah, guys. This really is a remarkable opportunity. And for those who want to spend time with us and spend time in the original documents, this is a great program. So, if you’re from 18 to 25, or you know someone who’s 18 to 25, send them to sign up for one of our three sessions this summer at WallBuilders.com/leadershiptraining. Welcome back. Thanks for staying with us here on WallBuilders Live. Today we’re talking about Patriot Academy, a youth leadership program for 16 to 25 year olds. It’s also though, I should have mentioned, for military veterans of any age. So, I don’t care if you’re 25 or you’re 80 – if you have served in our armed forces we would love to have you at Patriot Academy. And, in fact, we have a really cool setup where the students are over on the House side and the military veterans are over on the Senate side. You actually get to interact with each other. It’s inspirational to the young people to be able to be around those that were willing to fight and die for our freedom. I’ll tell you, the veterans last year, our first military academy, just loved being able to interact with young people and see that they are, in fact, passing the torch intact. So, really two groups. 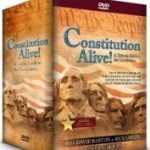 If you’re interested go to PatriotAcademy.com today. First, those students 16 to 25 years old. You’ve got time, you’ve got to register right now, you’ve got to get in there right now and we’ll give you that same discount of $995 instead of the $1200 if you say you’re with WallBuilders Live, or heard about it on WallBuilders Live. That covers your whole week, that’s your entire week – that’s your hotel, that’s your meals, that’s your materials, everything. The military academy is Tuesday through Saturday and it’s a little less. So, check that out at PatriotAcademy.com. I’m going to jump in right now and play our promo video. It will tell you a lot more about Patriot Academy. And in this video, we’re going to play the audio of this video, I just want you to imagine as you’re listening to this some incredible, incredible, video clips and seeing the young people on the floor. You’ll hear some great voices that you recognize from JFK, and Ronald Reagan, and some other leaders, with some fantastic comments about the importance of raising up the next generation. But we’re going play that video here in our middle segment of today’s program. And then when we come back from the video, or the audio of the video, then Austin Griesinger, the governor of Patriot Academy, will be back with us and we’ll talk a little bit more about how you can get signed up and the differences this can make not only in your life, but in preparing the next generation. So, here we are. This is the Patriot Academy video it’s called “The Guardians”. You can go and watch it right now at our website, WallBuildersLive.com, but here’s the audio. The challenges facing this current generation of Americans really are unique. I mean, throughout our history we have faced attacks from within, we’ve faced attacks from without, but never before at the exact same time. America is not only known for freedom. She’s known for enduring freedom. Every time that we faced a major crisis, a major struggle, we have become stronger as a result of that struggle. Freedom is not a partisan issue. It’s not about politics, it’s not about rhetoric – it’s about re-instilling the principles of liberty. It’s about ensuring freedom does not expire within a generation. That’s what our forefathers did. They spent their lifetime dedicated to this nation. Generation after generation of Americans have stood guard at the Watchtower of freedom. Freedom is not free and freedom and freedom will not protect you. You and I must protect and preserve freedom and pass it on to the next generation. Today we face a crisis of consciousness, we face a crisis of identity. Will we go down this road to the socialist marxist state? Or will we come back to the principles that made us great? Many Americans are asking the question – will we win this struggle? Will America come out of the struggle on the other side stronger or will we lose our freedom forever? I think a problem we have in the status quo is that there’s this older generation of conservative and principled people who are afraid to pass on the torch of freedom to the younger generation because, frankly, they see them as irresponsible. On one hand I see people that have an entitlement mentality. But on the other hand, I see people that have never been raised up to truly understand freedom and responsibility. I don’t think it’s any wonder at all why young people are confused about who they are and where they’re supposed to go. They operate on shifting sand. One of the greatest fears that Generation Y, this generation, faces today is the fear of insignificance. They don’t want to be insignificant. They want to matter, they want to make a difference. But when that’s their great fear, when they look in an arena and believe that they can’t be significant there, they can’t make a difference, what sets in? What does it birth? Apathy. I remember when I was 16 years old our baseball coach in my high school took us down to Austin, we were playing in a state tournament, and he took us over to the state capitol. And I looked at that building and I said, “That’s a different world, that’s different people. That world of government, it impacts me, but I can never impact it – it’s too big.” That’s how this generation feels. They seem to be apathetic to some people because what they see in the big world doesn’t seem to make a whole lot of difference. They want to be passionate about things that can make a difference. My generation has more energy and enthusiasm than we know to do with. And that’s the problem – we don’t know what to do with it. Definitely in this generation we have tons of passion. But passion can obviously go a lot of different directions. They’re passionate in areas where they really, really, believe they can make a difference. I think that the younger generation is ready to step up. But what we really need, what this rising generation truly, truly, needs is for the past generation to hand that torch over, to really instill those principles in us. We need you to step up and lead and get involved. All they’re asking for is for us to give them the tools to do that and they’ll step up and lead. Patriot Academy is a leadership laboratory where we bring young men and women between the ages of 16 and 25 together at a state capitol in that environment and show them how the legislature works. It’s basically a real life opportunity to do what a legislator and a political activist does for a week. Patriot Academy, let’s get honest, it’s about leadership. People often look at where they are right now and say, “Oh, that’s a great person.” And they forget the journey that person had to get there. And it’s the journey that Patriot Academy focuses on. We first started this program with a dream of training thousands and thousands of young people. And I remember those first couple of years looking around the House chamber and we’ve got a couple of dozen people there. I had to try to encourage myself as I looked – it was only a few dozen people that gave us the Declaration of Independence. In 2007 when I was serving in the legislature it was 40 to 50 students. We started small, seemingly insignificant. This year, now starting our 11th year, we’re going to see a hundred and twenty students. Now here we are a decade later and I’m looking at where these teenagers, these young people, who came through Peachtree Academy and I’m seeing them all over the nation – serving on Capitol Hill and in Washington D.C., they’re in state legislatures across the country. As a state representative here in Texas, there’s not a day goes by that I don’t walk down the halls and see a * from Patriot Academy walking the halls -they’re everywhere. We started hearing from people all over the country saying, “We want to bring Patriot Academy to our state.” I’m talking about governors, and legislators, and business leaders. And I believe before Patriot Academy is done, she’ll be reaching out to every state and reaching thousands of young people to become patriots again in this nation. The best days of Patriot Academy lie ahead. I first came to Patriot Academy as a 16 year old who had no idea what I was going to do with my life. I came in and I was actually scared of government. Five years later I am an honors government major at the University of Texas. I just had an internship in the Texas State Capitol with Representative * any and all of it is because Patriot Academy showed me what God wants me to do with my life. It was Patriot Academy that was the catalyst for turning me to someone who no longer just cared, but was ready to do something. It’s a launching point. It’s the starting point for anybody who wants to be a culture changer. I attended Patriot Academy for several years and the training that I got there equipped me to become a legislative director within the Texas House of Representatives. I came into the Patriot Academy expecting it to be very similar to the other programs I’ve been involved in and it just wasn’t. Patriot Academy isn’t just something for the political go getters. It can be something for people of all types and of all interests. I would say that Patriot Academy has changed my life. That it has radically equipped me to go out and make a difference. Every one of my kids has been so enthusiastic, and so energized, and so thrilled, about the time that they spent. And when they came back, they were shaper, they were more more driven, they were more purposeful, and they understood what they needed to do to help fix society. One of the things I appreciate about Patriot Academy is their desire to develop in students not only strong leadership skills, but also character. I’ve found friends and I’ve found people who are committed to this country, who are committed to passing on that torch of freedom from this generation to the next. ith everything that’s happening in today’s world. We as Americans feel like our freedom is going away from us, like there is no hope for the future, but there is. Ronald Reagan once said that freedom is never more than one generation away from extinction. And Patriot Academy is all about teaching young people what their freedoms are, where their freedoms came from, and how they can fight to preserve their freedoms. Not just for themselves, but for the next generation of Americans. The choice is ours. What will history say of the hour in which we were called to lead? In which you were called to lead? Will they say of our generation that on our watch the torch of freedom was only dimly lit, or, God forbid, that it was extinguished? Will they say that we fumbled in passing the torch to the next generation? Our generation are the ones that are going to change the world, that are going to fight for freedom, that are going to work together to give something to those coming after us. Or will say that on your watch there was a rekindling of that sacred fire of liberty because your generation stood up, and you reached out, and you grabbed that torch of freedom. And together we held it even higher. We made it burn even brighter than ever. That’s the battle cry today. That’s a call to arms, a call to action, a call for this younger generation to do something great with their life. We are a part of something bigger than ourselves and that’s what Patriot Academy showed me. And that fire burns bright and allows you to communicate to others and light a fire in them as well. I’ve seen in the last several years from the south of Texas, to the north of Illinois, from New York City, to California, a younger generation that has passion. We can uphold our freedom, that we can continue to be that beacon, that torch, for the rest of the world. The light of freedom is true, and hot, and bright, and no forces can stop its spread. As true as it’s ever been, “A rendezvous with destiny”. You can be a part of preparing that destiny and helping these young people find that destiny. It’s PatriotAcademy.com. You can go there and sponsor a student, you can go there and get young people in your life, your kids, your grandkids, young people in your church and your neighborhood, to go to that website today and find out about it. There’s only three weeks left. They need to sign up immediately if they want to come to Patriot Academy this year for such a time as this. Quick break. We’ll be right back with the Governor 0f Patriot Academy, Austin Griesinger. Stay with us. You’re listening to WallBuilders Live. This is Tim Barton with another moment from American history. The Second Amendment to the Constitution, which guarantees to every individual the right to keep and bear arms, has been targeted for years now by those who are determined to dismantle the individual right to self protection. Opponents argue that, “Only the militia, the military, and law enforcement are to have and use firearms.” But those who wrote the Second Amendment strenuously disagreed, including Founding Father Richard Henry Lee, a signer of the declaration, a president of the Continental Congress, and one of those who actually framed the Second Amendment. 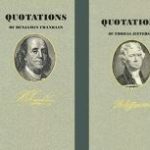 For more information about Richard Henry Lee and the history of the Second Amendment go to WallBuilders.com. Welcome back. 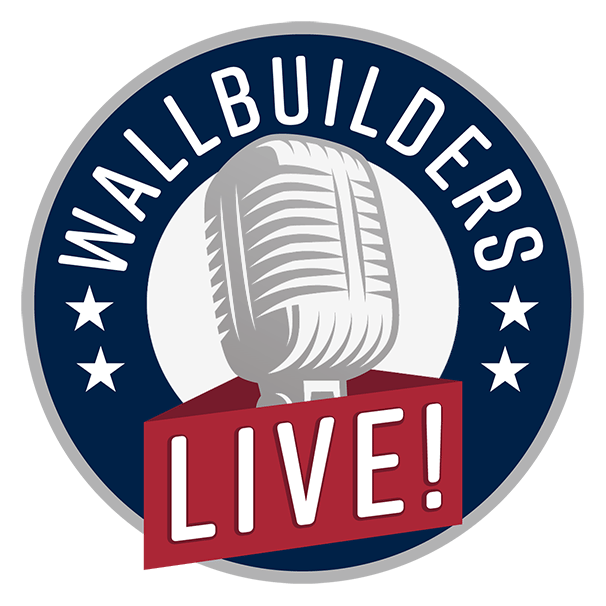 We’re back here on WallBuilders Live with the governor of Patriot Academy 2018, Austin Griesinger, with us. And Austin, we were talking at the beginning the program about how people from all walks of life enjoy this. And I mentioned when we came back from one of the breaks the military academy. Last year was the first time we had that. What was that like for the students to interact with the military academy? And even, you saw some of the responses from them as well. That was that was pretty cool. Alright, so folks, if you’re interested in Patriot Academy there’s a couple of ways to get involved. Go to PatriotAcademy.com – that’s where you can actually sign up right now for this year’s Patriot Academy. You’re almost out of time, so you’ve got to do it right now. You’ve got about three weeks to get your flights booked, get everything done. We’ve got a few slots left on both the military academy and the student Academy – 16 to 25 year olds. And we’re giving you a discount on the student side if you go now and you say you’re with WallBuilders Live, heard about it on WallBuilders Live, you get the $995 rate instead of the $1200 last minute rate. And by the way, correcting one thing in the video because we made that a few years ago – we’re now not just doing 120 students a year, we’re doing about 500 students a year all over the country. We have Patriot Academies in other states across the country as well. But this is our national academy that you have a last minute opportunity to sign up for. So, be sure and check that out. We’ll have links at WallBuildersLive.com where you can watch the video that we played the audio of for you a little earlier. And then also we’ll have links to PatriotAcademy.com where you can get signed up. Thanks so much for listening today. You’ve been listening to WallBuilders Live.